With nearly 30 years’ experience as a legal advocate for Indigenous Australians, Tony McAvoy SC is the 2018 QUT Alumnus of the Year and Faculty of Law Outstanding Alumni Award Winner. Dr Chris Jeffery is an award-winning engineer, army officer, doctor and highly successful medical entrepreneur. He is CEO of Field Orthopaedics and executive director of Robotic Engineering Research Labs and Audeara. Sandra Mau has more than 10 years’ experience in product research and engineering and technology development. She is founder of TrademarkVision and IEEE QLD Women in Engineering. Lisy Kane, Sarah Moran, and Tammy Butow from Girl Geek Academy and are on a mission to teach one million women how to get into the tech industry and launch their own start-ups by 2025. 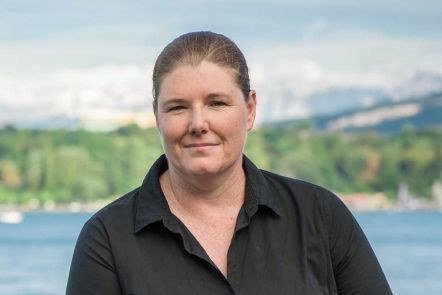 Amanda McClelland has been instrumental in developing higher level training for global health emergencies and has received a Special Excellence Award for Achievements and Contributions to International Health Security and Humanitarian Aid. Jeff Dunn is the Asia Pacific head of AQR Capital and an influential thought leader in the investment community. 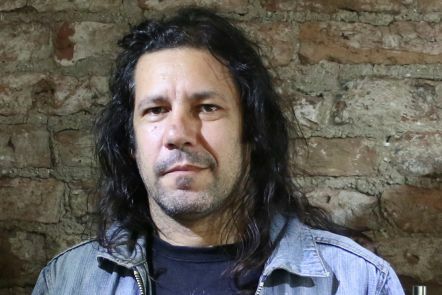 Archie Moore is renowned as one of Australia’s most significant contemporary artists, with his work exhibited in museums and galleries around the world. Patrea Walton PSM is distinguished for her contribution to public education in Queensland, having influenced many of the state’s major reforms and education policies. Veronica Casey is recognised for her achievements over a 40-year nursing career. She is Executive Director of Nursing and Midwifery at Metro South Health and Executive Director of Nursing at Princess Alexandra Hospital. Ben de Bont is considered one of America’s leaders in cyber security, with more than 20 years’ experience in the field. His Special Excellence Award is for achievements and contributions to international cyber security. Young Alumni Award for Innovation and Entrepreneurship. Tony McAvoy has nearly 30 years’ experience as a legal advocate for Indigenous Australians, and specialises in native title and land rights, coronial inquests and administrative, human rights, discrimination, and criminal law. Tony was admitted as a Solicitor in 1989 with the Brisbane Aboriginal Legal Service before being admitted as a Barrister in New South Wales in 2000. In 2015, he became the first Indigenous Australian in the country’s history to be appointed Senior Counsel. He is currently a Barrister at Frederick Jordan Chambers. During his career, Tony has held numerous positions concerning Aboriginal affairs and land rights. Between 1994 and 2000 he was a Policy Officer and Manager at the New South Wales Department of Aboriginal Affairs and for a period between 1996 and 1998 also served as Acting Registrar of the New South Wales Aboriginal Land Rights Act. He has also co-authored a monograph for the Australian Institute of Aboriginal and Torres Strait Islander Studies on Native Title Claim management. Tony has succeeded with multiple land disputes throughout his career. Most notably, he appeared for the Quandamooka People (North Stradbroke Island and Moreton Bay, Queensland) in 2011, and the Barngarla People (Eyre Peninsula, South Australia) in 2016 for their Native Title Claims. Tony has a substantial pro-bono practice and speaks regularly at conferences on native title, treaty, and political representation. In 2005, he created the National Indigenous Legal Conference with Chris Ronalds SC, and in 2010 was named National Indigenous Legal Professional of the Year. From 2016 to 2017 he has served as co-Senior Counsel assisting the Royal Commission into the Protection and Detention of Children in the Northern Territory. Tony has a passion for seeing young people succeed, and acts as an informal mentor for many young practitioners and a formal mentor for a number of young Aboriginal lawyers and law students. From 2011 to 2013, Tony has held the position of part-time Acting Commissioner of the New South Wales Land and Environment Court, and is current Chair of the New South Wales Bar Association First Nations Committee. 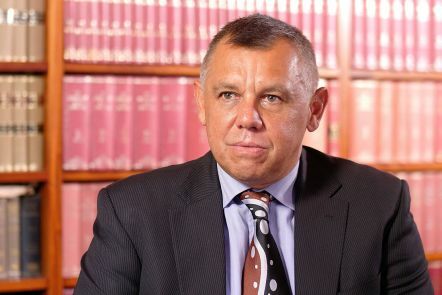 He is also a member of the Indigenous Lawyers Sub-Committee, Co-chair of the Indigenous Legal Issues Committee, and Chairperson of the National Indigenous Lawyers Corporation of Australia. Dr Chris Jeffery is an award-winning engineer, army officer, doctor, and highly successful medical entrepreneur. 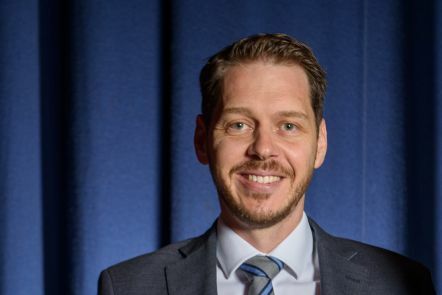 He is the CEO of Field Orthopaedics, Executive Director of Robotic Engineering Research Labs (RER) and Audeara, and is currently completing a PhD at the Australian Centre for Robotic Vision at QUT. Chris has served as a Commissioned Officer in the Australian Army for nearly 15 years, and in 2005 received a Defence University Sponsorship to complete his engineering studies. In 2007 he graduated from QUT with a Bachelor of Engineering (Electrical and Computer Engineering) and was awarded the J.H. Curtis award from Engineering Australia for thesis of the year. Having completed his studies, Chris continued on to Royal Military College training at Duntroon. In 2009, he was deployed to the Middle East. It was during the second part of his duties while protecting volunteer doctors that he was inspired to pursue medicine. 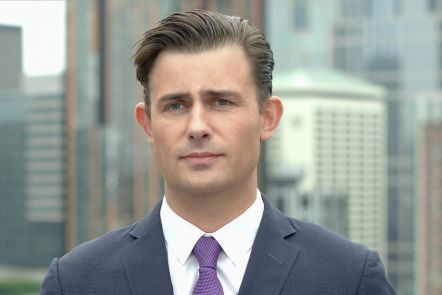 On returning to Australia, he went on to complete a Bachelor of Medicine, Bachelor of Surgery, and Graduate Certificate in Business from the University of Queensland in 2014. During his medical intern year, Chris realised the inaccessibility of hearing tests for children treated in the public hospital system. Driven to make audiometric testing more available, Chris wrote a computer program to facilitate the need; a program that now empowers consumer headphones to deliver better, safer sound and a program that’s consumer sales are funding ongoing research and development in the management of hearing-related issues. Chris’s passion to innovate has led him to develop several start-ups focused on improving access to medical treatment. In 2017, he co-founded Field Orthopaedics; this year the company launched its first product for Orthopaedic Surgeons – a screw designed to fix precision fractures in wrists. It’s on track for approval by the Food and Drug Administration (FDA) and has led to Field Orthopaedics being acknowledged as the most cost-effective medical device company in the history of the FDA. Chris strives to bring the latest research into practice. Field Orthopaedics was founded as a platform to create innovative commercial products for medical needs, and returns all profits to medical research. The company has eleven more products in development at the moment, including a coated-bone cement aimed at eliminating the risk of infection during surgery, and biodegradable polymers to act as a coating for drug delivery. In addition to his already busy schedule, Chris is currently in the process of launching YUMM!, a social enterprise that utilises the brand, advertising and profits of its product sales to address public health issues and fund community intervention strategies directed at the improvement of mental wellness. Sandra is a proud Master of Business Administration alumni and entrepreneur, with over 10 years’ experience in product research and development in engineering and technology. Since graduating from QUT in 2010, Sandra has consulted for industry, government, university and research institutions, and led the way in commercialising the world’s first visual search engine for trademarks as co-founder and CEO of TrademarkVision. TrademarkVision focuses on protecting brands through machine learning and artificial intelligence, and is one of the world’s most innovative and influential image recognition & artificial intelligence companies in the brand protection space. TrademarkVision is trusted by brands, firms and government intellectual property offices worldwide, used by IP Australia, the European Intellectual Property Office, and IP Offices in South America and Asia. Governments are now using TrademarkVision to help their examiners and the public protect their IP faster, quicker and cheaper than before. Since its launch in 2013, the company has won a number of media accolades including being listed in Fast Company’s Top 10 Most Innovative Companies in the World for Artificial Intelligence in 2017 – a significant achievement in only five years. 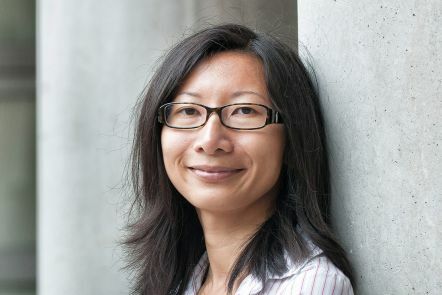 Prior to TrademarkVision, Sandra was a Senior Computer Vision Research Engineer at NICTA and a Commercialisation Analyst at QUTbluebox, where she helped researchers protect their intellectual property and commercialise their innovations. She is a recognised thought leader and is frequently invited as a guest speaker and contributor to working groups. Sandra is active in supporting the local tech community, generously volunteers her time and expertise to support QUT Creative Enterprise Australia, and is a mentor for several young entrepreneurs, students and women in the industry. She is the founding Chair of IEEE QLD Women in Engineering, has been a speaker at several Women in Leadership forums, and was recognised as one of Australia’s Top 50 Female Programmers in 2014, and one of Australia’s Top 100 Most Influential Engineers by Engineers Australia in 2015. 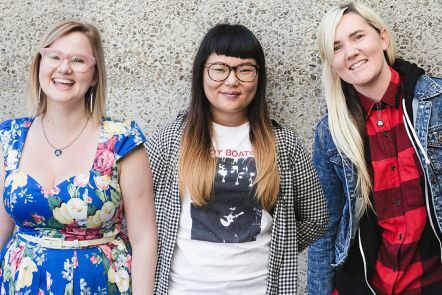 Lisy Kane, Sarah Moran and Tammy Butow are three of the five co-founders of Girl Geek Academy, a tech start-up with a mission to teach one million women how to get into the industry and launch their own start-ups by 2025. Currently, only 12% of those 'building the internet' are women, and Girl Geek Academy is dedicated to levelling the playing field so that future generations of women will have the same leadership and salary opportunities as their male counterparts. Lisy is an award-winning games producer, and her industry insights have seen her curate and produce sell-out events for Girl Geek Academy, including #SheMakesGames – Australia’s first, all-women game-making day, now an annual event. Along with her work at the Girl Geek Academy, Lisy is a producer at League of Geeks, an indie game development studio based in Melbourne. As part of her role, Lisy oversaw the international release of Armello (a digital card and board game) across PC, Steam, PlayStation, and Xbox One. She also oversees global platform relationships with Sony, Microsoft, and Valve. In 2017 Lisy was the only Australian to be featured in the Forbes 30 under 30: Games list, and received a Women in Games Fellowship from Film Victoria. She has also secured funding from Film Victoria’s Early Career Skills Development Program to offer scholarships to #SheMakesGames workshops. As a gaming innovator, she is a highly sought after speaker at many gaming, tech, and STEM education forums, and has played an integral part in launching the League of Geeks innovative internship and work experience program. She recently launched #SheHacksGames – the first all-woman hackathon for video games in Australia. The program offers an excellent opportunity for women to learn about and understand the world of video game development and provides hands-on experience and exposure to the industry. Alongside her fellow Girl Geek Academy co-founders, Sarah Moran is on a mission to create a lifelong community of women who love to learn tech. She learned to code when she was just five years old and believes that you’re never too young – or old – to start. Throughout her career, Sarah has held many high-profile social media roles. She was the Global Public Relations and Social Media Manager for Tourism Queensland’s ‘Best Job in the World’ campaign and in 2011 managed the digital marketing for their Million Dollar Memo campaign. The latter, which invited businesses to compete for $1 million worth of incentive travel experiences, was the single largest marketing campaign activated by a state tourism organisation promoting incentivised travel. In 2017, Sarah joined the Channel Ten and FOXTEL LifeStyle channel television series Common Sense, where she is having her say on what’s happening in the world and showing the nation it's cool to be a ‘girl geek’. Girl Geek Academy’s on-the-ground connection in the United States is Tammy Butow. She currently lives in the San Francisco Bay Area working as a Principal Site Reliability Engineer at Gremlin, and is helping to launch #SheMakesGames workshops in the States this year. Tammy began her tech journey with a double degree at QUT, completing a Bachelor of Information Technology (with Honours) and Bachelor of Education (Secondary) in 2008. After being selected into the NAB Technology Graduate program, she started her career as a Software Engineer and Engineering Manager in Melbourne. While there, she also completed a Master of Computer Science at RMIT University. During 2014, Tammy moved to New York where she honed her management skills as DigitalOcean’s Platform Manager for Cloud Infrastructure. After only a year in the States, she was approached by Dropbox in 2015 to lead a hybrid software and systems group at their Silicon Valley headquarters. Under her leadership, software engagement scores dramatically improved and she was promoted to Senior Engineering Manager in just over a year. While at Dropbox, Tammy served as a Program Committee member for SRECon Americas and Program Co-chair for SRECon Asia/Australia – international conferences that focus on site reliability and production systems at scale. As a female advocate in the tech industry, Tammy is fast-establishing herself as a sought-after speaker on subjects such as Site Reliability Engineering and Disaster Recovery Testing. She featured as a guest speaker at Linux Conf Australia in 2016 and GopherCon in 2017. Her influence in the tech space is inspiring, and without doubt is helping the Girl Geek Academy’s mission to close the gender gap in tech. Amanda McClelland has been instrumental in developing higher level training for global health emergencies. She has received the Australian Red Cross Florence Nightingale Award and the Australian Red Cross Humanitarian Award twice for her services to public health. She began her career as a clinical nurse in remote Indigenous communities in Australia before moving into public and emergency health with organisations such as Oxfam, Concern Worldwide, and the Australian Red Cross. In places as diverse as South Sudan, Ethiopia, Nepal, Uganda, and Banda Aceh, she has provided frontline support and coordinated emergency relief to help people rebuild after civil and natural disasters. Amanda has served as the International Federations of the Red Cross (IFRC) representative on the Global Outbreak and Alert Response Network, and on the Global Cholera Taskforce, International Coordination Group, Nutrition Cluster, and the Risk Communication Coordination Taskforce with the World Health Organisation. Until recently, she worked as Global Health Advisor with the IFRC in Geneva, and was responsible for providing technical support to operations in Africa and the Asia Pacific. In 2012, Amanda was deployed to Sierra Leone as part of the Cholera response, and in 2013 to the Philippines following Typhoon Haiyan. With the Ebola outbreak in Africa in 2014, Amanda provided technical support and deployments from Geneva, and deployed to Kenema to set up an Ebola treatment center. She spent the next eight months travelling in and out of West Africa to support the Red Cross Ebola response. Last year, Allen and Unwin published Amanda’s first book, Emergencies Only: An Australian Nurse’s journey through natural disasters, extreme poverty, civil wars, and general chaos . Most recently, she has commenced as Senior Vice President for Resolve to Save Lives, a $225 million, five-year initiative to implement evidence-based strategies to prevent heart disease and stroke, and work with governments to find, stop, and prevent new disease threats across the globe. Jeffrey Dunn is a Principal at AQR Capital Management LLC, a global Investment management firm and one of the world’s largest hedge fund managers, where is the Head of AQR’s Asia Pacific business. Since graduating from QUT in 2002, he has quickly risen to become an influential thought leader and inspirational figure in the investment community. Over the past twelve years, he has overseen the growth of AQR’s Australian business, including through the Global Financial Crisis, and has played an integral part in driving AQR’s success to becoming a household name amongst the Australian institutional investment community. Offshore, Jeff has been instrumental in AQR’s growth in Asia Pacific and the opening and management of offices in Hong Kong and Tokyo. Throughout his career, Jeff has continually sought opportunities to grow professionally and personally. Prior to his role at AQR, Jeff was the Research Manager for the International Equity division at QIC, where he was able to travel the world performing due diligence on leading investment management firms. This experience exposed him to a wide variety of investment philosophies, business cultures, management techniques, and corporate structures. During his time at QIC, Jeff participated in a secondment program to work with a quantitative strategies group at Goldman Sachs Asset Management in New York. As AQR’s first employee outside of the head office in the USA, Jeff established AQR’s Australian office in 2006. He later drove the formation of AQR’s Environmental Social Governance (ESG) Committee, of which he remains the global chair. Jeff is also a member of the UN Principles for Responsible Investing advisory committee on hedge funds. He has authored research pieces on the implication of ESG issues for investment managers and the tax implications of active global equity investing for Australian investors, which have been presented at industry and educational forums throughout the Asia Pacific region. 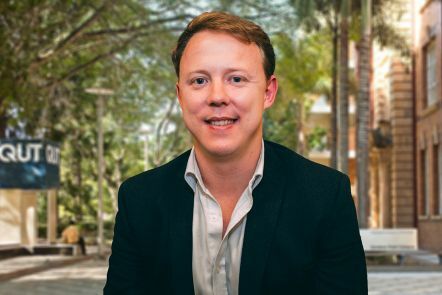 A proud QUT alumnus, in 2017 Jeff joined the QUT Economics and Finance Advisory Committee, where his passion for good practice and deep industry knowledge is drawn upon to inform strategies at the discipline school level. Archie Moore is renowned as one of Australia’s most significant contemporary artists. His contribution to art and culture has been acknowledged by curators and directors of major exhibitions and institutions. His artworks often explore language and other cultural tokens as signifiers that can be confused and misinterpreted. Shortly after completing a Bachelor of Arts at QUT in 1998, Archie received a visual arts scholarship to study at the Academy of Fine Arts in Prague. He has worked with a variety of mediums in his portrayals of the self and national histories, and experiments with painting, photography, sculpture, installation, and performance. Archie’s practice remains embedded in Aboriginal politics and the wider concerns of racism and cultural borders. Earlier this year, a major solo exhibition of Archie’s work was held at Griffith University Art Museum, curated by Angela Goddard. A substantial catalogue with four newly-commissioned essays was published to accompany the exhibition. For almost two decades, Archie has held regular solo exhibitions at universities, not-for-profit and commercial galleries in most states of Australia, and has presented at shows in China, France, Japan, the United Kingdom and the United States. Archie has represented Australia at international exhibitions, such as 20th Biennale of Sydney (2015); Defying Empire; National Indigenous Triennial – National Gallery of Australia (and touring, 2017- 2018); Mémoires Vives: Une Histoire de l’Art Aborigène at Le musée d'Aquitaine in Bordeaux, France, and Lie of the Land: New Australian Landscape at the Australian Embassy in Washington D.C. His work has featured prominently and repeatedly in journals both in Australia and internationally including the prestigious, London-based Frieze magazine and the New York-based Art Forum . Collection holdings of Moore’s work include the Jumbunna Indigenous House of Learning, UTS, Sydney; Monash University Museum of Art, Melbourne; the National Gallery of Australia, Canberra; Newcastle Region Art Gallery; the Owen and Wagner collection, North Carolina; the Queensland Art Gallery | Gallery of Modern Art, Brisbane, the Queensland University of Technology Art Museum, Brisbane; the University of Queensland Art Museum; and the University of Technology, Sydney. Moore has been represented since 2012 by The Commercial, Sydney. From August 2018, visitors to the T1 terminal of Sydney International Airport will be greeted by his work, United Neytions – a major installation of 28 large flags which represent 28 Aboriginal nations ‘imagined’ in one of the earliest acknowledgments by a white person of Aboriginal nationhood based on language groups. United Neytions was commissioned as the inaugural partnership between Sydney Airport and the Museum of Contemporary Art Australia. Patrea Walton is renowned for her contribution to public education, with 40 years’ experience working for the Queensland Department of Education in teaching and leadership roles. 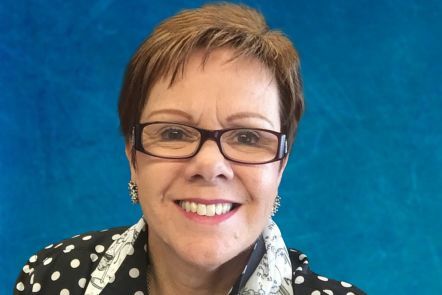 For the first 20 years of her career, Patrea took on a variety of teaching roles across South-East Queensland state schools. In 2001, she moved out of the classroom to take on the role of Principal at Glenala State High School, and later served as Principal at Corinda State High School. Patrea has also held many executive roles with the Queensland Department of Education, from directly supervising and coaching principals to leading implementation of Flying Start reforms (which transitioned Year 7 to secondary school). In 2013, she became CEO of the former Queensland Studies Authority, and subsequently was appointed Deputy Director-General for State Schools at the Queensland Department of Education, a role in which she is responsible for the operations and strategic direction of the 1,240 state schools in Queensland, and their 80,000 staff and 550,000 students. One of Patrea’s most notable achievements during this time has been her leadership of the statewide effort to close the gap on Year 12 attainment. In recognition of her outstanding public service to education, in 2017 Patrea was awarded the Australian Public Service Medal. She is a passionate advocate for advancing Queensland education standards, and led an improvement agenda that saw Queensland become a fast improving education jurisdiction in Australia with regards to national testing. Beyond improving student learning outcomes, Patrea is a strong advocate for equity and social justice in education. During her career, Patrea has influenced many of the major reforms and education policies in Queensland education, including an independent review and action plan to enhance the delivery of education for students with disabilities, and state-wide targeted efforts to reduce the gap between Indigenous and non-Indigenous students in attaining Year 12. Her commitment to supporting diversity in schools and the workplace saw her awarded the 2016 Australian Human Resources Institute (AHRI) National CEO Diversity Champion. Patrea is also involved in the induction, support, and mentoring of graduate teachers in Queensland state schools with the Queensland government’s Mentoring Beginning Teachers program. Veronica has held many diverse roles during her 40 years as a Registered Nurse and Midwife. 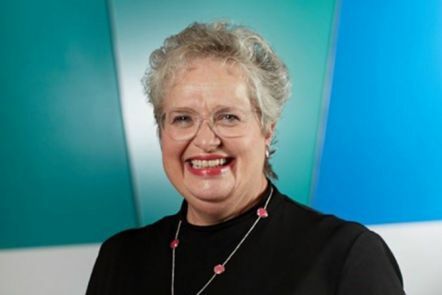 For more than 20 years she has held executive leadership roles with Queensland Health and since 2004 has been an Adjunct Associate Professor at the QUT School of Nursing. She began her career as a registered nurse in 1980 and later as a registered midwife in 1982. On completing her Diploma of Applied Science in Nursing Management at QUT, she moved on to Australian Catholic University to complete a Bachelor and Postgraduate Diploma in Nursing, and a Master of Nursing Leadership. From 2002 until 2006, she was the Director of Nursing and Executive Director of the Aged and Disability Residential Acute Geriatrics and Rehabilitation Programs at The Prince Charles Hospital and Health Service District, before moving to the Princess Alexandra Hospital as Nursing Director for the Division of Medicine. In 2007 she was appointed Executive Director of Nursing Services at Princess Alexandra Hospital, and in 2008 Nursing and Midwifery Services at Metro South District. Now the Executive Director of Nursing and Midwifery at Metro South Health, a role that also incorporates her post at Princess Alexandra Hospital, Veronica has led substantial growth and development at the hospital, including service expansion, work culture improvement, and the transformation of the Princess Alexandra Hospital to Australia’s first large-scale digital hospital. Veronica is a strong advocate for providing a person-centred approach to healthcare and played an integral role in Metro South Health becoming the first health service in Australia to be formally recognised by Planetree as a person-centred organisation. Veronica and her team led the way in achieving this international recognition for the health service. Under her leadership, in 2014 the Princess Alexandra became the first hospital outside of the United States to achieve Magnet status for the third time – an award given by the American Nurses’ Credentialing Centre that recognises the strength and quality of nursing. At the time, fewer than 100 hospitals worldwide had achieved this. Veronica has also developed strong relationships within the tertiary sector and is an advocate for the Visiting Nursing Scholar Program and is committed to supporting clinical placements and graduate opportunities. An exceptional leader and active contributor to nursing policy, Veronica has received international recognition as an advocate for the nursing profession. Based in Seattle, Ben de Bont is considered one of America’s leaders in cybersecurity. With more than 20 years’ experience in the field, he is the current Vice-President and Chief Information Security Officer (CISO) at IBM Cloud. Ben sits on the board of a number of high-level corporate and not-for-profit companies dedicated to securing data. With unique, private sector cybersecurity expertise, Ben donates time to the United States Government to aid and protect critical infrastructure, armed forces, and citizens against cyberattacks. Ben has held significant technology leadership roles in a number of leading global companies. He began his career with Microsoft in 2004, has since led the MySpace Security Group as Director of Information Security, and worked with securing OpenStack architecture for HP Cloud as Chief Security Officer (CSO). Now with IBM, Ben has spearheaded cloud security and compliance differentiation strategies for financial, public sector, healthcare, and enterprise organisations. Recently, Ben was selected for the 2018 Presidential Leadership Scholars program – a partnership among former Presidential Centres and a program designed for mid-career leaders who share a commitment to helping solve society’s greatest challenges. He was chosen as one of 60 scholars to participate in the prestigious program, which gives access to former presidents and their senior administrative alumni. Ben graduated from the program this July. Having consulted on cybersecurity for the US Army, Navy Air Force and Coast Guard, Ben has developed an expertise in public sector security. In 2016 he met with and advised President Obama’s Chief Information Security Officer on the White House’s strategy for cyber security defense, and was later commissioned to assess other defense-related risks. Ben also volunteers with the American Corporate Partners mentoring program, which assists veterans with career development, and is currently mentoring an American Air Force Captain in the GPS directorate.